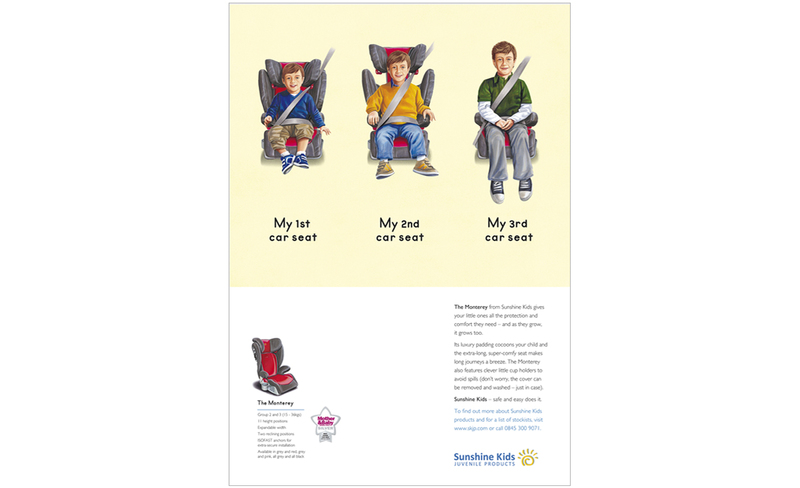 A ladybird book-inspired campaign aimed at safety-conscious parents. Responsible for: concepts, copywriting, art direction and creative direction. 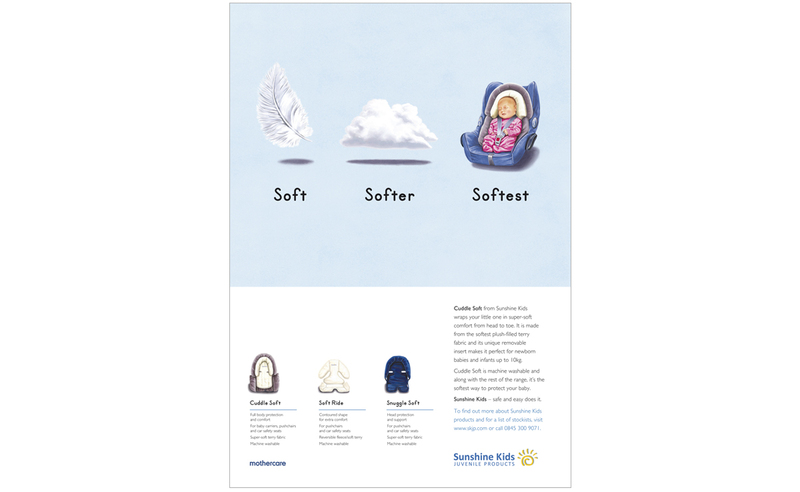 Sunshine Kids – Concepts, copywriter, art director and creative director. 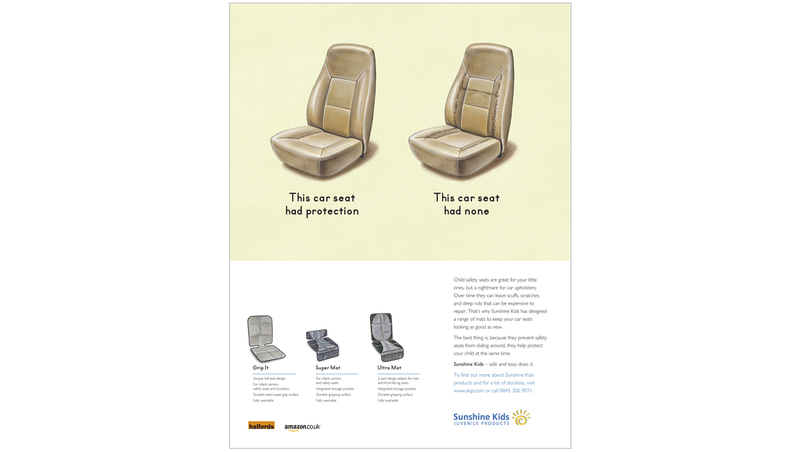 Sunshine Kids create fantastic in-car safety products, but their American advertising just didn’t translate to the UK market. 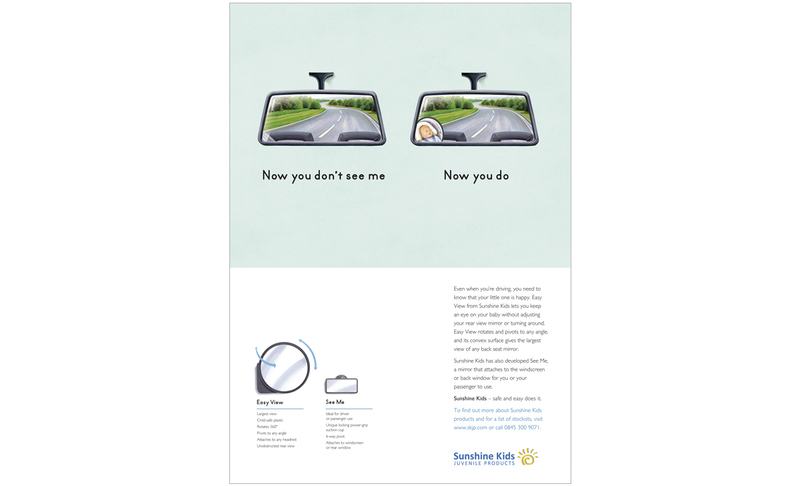 This advertising campaign uses Ladybird book-inspired illustrations and language to communicate product benefits with a very British warmth and humour. Within 1 month of launch, UK sales had risen by 70%.